A strong economy — coupled with a society that no longer values low-gloss, moderate-pay, high-benefit public sector jobs like firefighting, teaching and law enforcement — is leading to a hiring challenge for many public entities. Sometimes that means a low number of qualified applicants — which can lead to open positions for longer periods of time — or applicants who pivot to more lucrative private sector jobs. Our grandparents' generation may have had great respect for careers in public service, seeing them as a great family-wage option for those without college degrees or advanced career training. But today's workforce wants more cash in hand and a job without high levels of stress or public opinion stains. Not long ago, West Linn Police Chief Terry Kruger heard a story from a longtime friend and fraternity brother that spoke to the precarious future of policing in America. "His son, I'd known him since he was a kid — he loves me and I love him," Kruger said. "He went off to college and he came back from college for Christmas break. And he was talking to his dad, and his attitude about policing in this country had changed drastically while he was away at college." Kruger's friend asked his son if he would ever become a police officer, or if he knew anyone who planned on joining the force. The answers were "Hell, no" and "no," respectively, which led to one final question from the father. "(He asked), 'OK, so who are going to be your police officers 10 years from now, 20 years from now?'" Kruger said. "And he hadn't even thought about that." Kruger, who arrived at WLPD this past June, and the department's newest captain, Peter Mahuna, both agree that much has changed since they began their careers several decades ago. National trends — a recent U.S. Department of Justice study found that between 2013 and 2016, the number of full-time sworn officers nationwide dropped by about 23,000 — trickle through large and small departments alike, and Kruger said most of his officers can't remember the last time WLPD was fully staffed. "This profession is not the shiny nickel it once was," Kruger said. "The national perception and narrative has changed." "And it's changed for many reasons," added Mahuna, who spent part of his prior career at the Portland Police Bureau working in the personnel division. "Certainly there's a lot more national spotlight on police wrongdoing or perceived wrongdoing by police. If you get one bad shooting by a policeman in South Carolina, it taints police recruitment across the country. After the Dallas murder incident where the guy killed all those Dallas police officers, recruitment was down, retirements were high. "And so it's up to individual departments to try to figure it out." Kruger, who also served for many years at PPB before taking the West Linn job, has been working to do just that in the months since he was sworn in. "When I arrived, they had one officer that was down at the state academy, just about to graduate, and they had one new hire that was ready to leave to start academy," he said. "Since then, we've hired one lateral from Mt. Angel that didn't need to go to academy, then we hired another officer who had previously been through the academy but hadn't finished the training program called FTEP, Field Training and Evaluation Program ... and we hired a third officer who is at the academy right now." Officers who've graduated from the academy remain on probation for 18 months as they go through the FTEP process, and must work with an FTEP coach during that time. As of Dec. 14, WLPD still had three vacancies and had just under 50 applicants for those spots, according to Kruger. Several were lateral applicants — sworn officers looking to jump over from another department — or current reserve officers in another jurisdiction, but most were new applicants who would have to go through the academy. "Fully staffed, with everyone off probation, is really the goal," Kruger said. Besides the changing attitudes about police work seen across the nation, the hiring process has also changed on a more fundamental level in recent years. "It used to be that each agency would hold its own testing process, and a lot of agencies now have moved to a national testing process," Kruger said, comparing what's known as the National Testing Network for police to the SAT exam for college. "This has opened up the ability to recruit police officers nationally. You get someone who can take the NTN test in New York City and submit their scores to WLPD because they've got family out here or they've always wanted to live in the Pacific Northwest." But some things haven't changed, and continue to present a challenge to small departments like WLPD. "There's also the difficulty of hiring the right type of people for this agency and this community," Kruger said. "If you are hiring a 21-year-old kid that really wants to get out there and get into the action and mix it up, and wants to chase gangsters and get in car chases and take down armed robbers, we don't have much of that here." So even when WLPD hires qualified, effective officers, it can be difficult to retain them. "They get bored rather quickly, and it's not meeting their needs," Kruger said. "So retaining those people, when you have large agencies with lots of criminal activity surrounding you, can be challenging. Part of it is asking the right questions and looking for the right candidates." Kruger said WLPD has done well in the past at developing and maintaining a positive relationship with the community, and he's worked to build upon that in his short time at the helm so far. Officers attend neighborhood association meetings on a regular basis, as well as all other city-sponsored events. WLPD hosts its own community events like Shop with a Cop and Touch a Truck, and officers like Jeff Halverson have also worked to broaden the department's social media reach. This is the type of work that Kruger emphasizes in making new hires. "This job is much more social services, connecting people with resources, getting the help that they need. We don't have a lot of violent crime or issues in this city," Kruger said. "Our recruiting videos aren't of sliding police cars around or running around with assault rifles and rappelling down buildings, because that's not the type of officer we want to attract here." That emphasis on quieter, community-based work certainly hit home with Mahuna, who was sworn in Nov. 8. "I turned 50 years old and I was ready to slow down," he said. "I wanted to come back and really focus on stuff I was not able to do with the City of Portland." But even with the addition of an experienced captain like Mahuna, the makeup of the department still skews young and inexperienced after the departure of several senior officers in recent years. "More than 50 percent of this agency has less than five years as a police officer," Kruger said. "And because the call load is relatively light here, they're not getting a ton of repetitions (of call types). And so it takes time to develop true experience." It's a distinct challenge, one that places a heavy burden of responsibility on the captains, sergeants and FTEP coaches who are training the officers of tomorrow. But it's also an opportunity. "(There's) the ability to raise these officers up right, teach them how to do this job appropriately, to set clear standards and expectations that this community wants," Kruger said. "Over time, it's going to give us stability." And what about the more distant future — the 10 or 20 years down the line that Kruger's friend asked his son about? Kruger and Mahuna both expressed surprise at the recent drop in full-time sworn officers across the country, but they remain optimistic. "I think we're getting better at meeting the community's needs. I think we're getting better at sharing our success stories, and I think that perceptions over time will change," Kruger said. "I think they're already starting to change some. It doesn't seem as caustic now as it had, say, a year or two years ago." "As long as, in our heart, we think we're doing the right thing, I think we're heading down the right road," Mahuna said. "We're going to go on, unless you figure out a different way to police communities. You have to have police departments and fire departments and all these public service people, right?" Steve Cox, the workforce planning administrator for the Oregon Department of Corrections (ODOC), views each prison as a city. And while that might not be a perfect analogy, the workforce within a prison is more varied than most institutions. There's corrections officers, doctors, psychiatrists, technical support staff, truck drivers, electricians, communications officials and much more. Cox views this diversity as an advantage for employees: A worker can begin their career in one field and switch to a completely different occupation without changing employers. "We've had people start out as nurses end up as the superintendent," Cox said. But for those responsible for hiring personnel, such a wide diversity poses challenges. "Our applicant pool is not great," Cox said. "There's way more jobs than people to fill." Cox said that prisons especially struggle to find qualified nurses, doctors, correctional officers, information technology positions and food service coordinators, and filling a position can take a few months in some instances and over a year in others. Cox said the unemployment rate goes a long way in determining the application pool and the current abnormally low rate has made hiring that much harder. Also, when people think of a medical services or technology job, they often don't first imagine working in a prison. Plus, the private sector can typically offer higher salaries. "Trying to compete with private sector pay-wise is extremely difficult for us and the state," Cox said. Cox added that unlike more rural prisons like Warner Creek Correctional Facility in Lakeview, Coffee Creek Correctional Facility in Wilsonville has the advantage of being located in a densely populated region. However, he said Coffee Creek has lost prospective and former employees to county jails. "They pay more. They have signing bonuses. 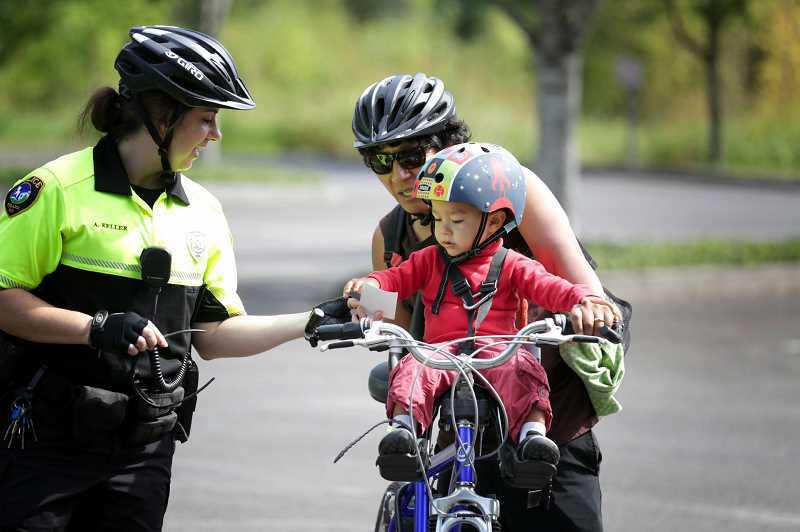 Clackamas County offers lifetime health insurance if you retire there as a deputy," Cox said. "That's extremely difficult to compete with." Along with pay, Cox said many potential employees don't apply because they think prisons are unsafe, which he said is untrue in Oregon. "For corrections, people watch movies that portray prisons in a way that's not accurate," Cox said. 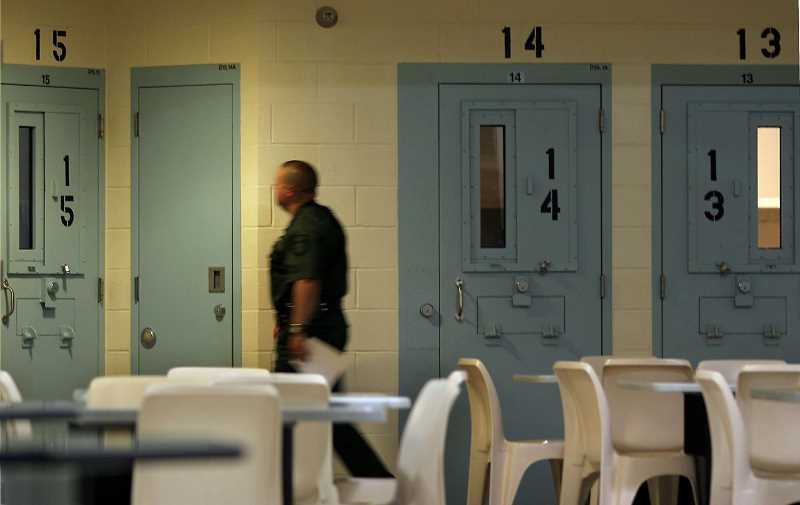 "They portray prisons that are dangerous and in Oregon that's not the case at all." "Safety for us is a big deal and we are one of the safest correctional departments in the country," ODOC Communications Manager Jennifer Black said. Cox said the ODOC received 630 job applications in the month of November, but that many applicants don't meet basic requirements, such as passing a background check and meeting medical requirements. "Those processes do eliminate quite a bit of people," Cox said. Like the police, Cox said the ODOC has struggled to attract millenials, but that it has increased its presence on social media, joined virtual career fairs, hired recruiters to deliver presentations at community colleges, job fairs and careers fairs and is recruiting more through texting. "Those are things we are trying to do to connect with millenials," Cox said. Cox said hiring struggles aren't confined to prisons and that public safety institutions are generally having a hard time finding quality workers. Public perception, he said, is the root of the problem. "Public safety is struggling largely in part because of the economy and public safety doesn't always get a positive (portrayal)," he said. "The media coverage is not good." While the West Linn-Wilsonville School District has no shortage of qualified educators, WL-WV Education Association President Lane Johnson said that there is an anticipated shortage of educators throughout Oregon in the near future. "We're not graduating enough people in teacher prep schools to fill the number.of positions that we have in Oregon," Johnson said. "It's not that we're currently having problems but we all anticipate problems in the next years to come." Johnson said some of the reasons there are fewer people participating in teacher preparation programs are due to low salaries, student debt and competitive salaries in other states, like Washington, which recently received money from its Legislature to dramatically increase educator salaries this year. On average, Oregon teachers earned a minimum starting salary of $36,097 for teachers with bachelor degrees during 2016-17, according to the Oregon School Boards Association. Teachers with master degrees had an average minimum starting salary of $40,136. "It's an incredibly difficult job and salaries are about, according to The Oregonian, 9 percent less for teachers than they are in the private sector," Johnson said, adding that becoming a public educator is not as attractive as it once was. "It's rewarding; it's a thing to do if you really feel strongly about serving the community and the next generation but when people are graduating with incredible amounts of student debt, it's a difficult decision to make." Johnson said the school district has a continual ebb and flow of teachers who retire and for the last few years it tends to be between 10 and 20 people. Though he hasn't seen specific demographic information, he said the teaching population in the WL-WV School District has gotten younger over the years. "Older people, like me, leave and the younger generation comes in so it's a continual process," Johnson said. "I don't think we have a substantially larger number of educators who are either at or approaching the age that they can retire than any other district." In Johnson's 30 years of teaching experience, he said as the economy improves, Johnson has seen fewer teachers coming through the pipeline because more opportunities exist outside of the teaching realm. In general, Johnson said science and math are tougher subjects to fill because salaries are much higher in the private sector for those subjects. Oregon schools, including the WL-WV School District, are also always in need of dual-language teachers and special education staff. "It's a highly sought out specialty," Johnson said, adding that there is competition between districts for these types of teachers because they are few and far between. Johnson believes that the WL-WV School District has a solid reputation — high graduation rates, the ability to pass bonds and a supportive and caring community — and seems to fill the necessarily positions. He also hasn't seen certain teaching positions open for long periods of time in the district. "Anybody who thinks that it's easy (teaching) should try it," Johnson said. "People don't do it for the money." 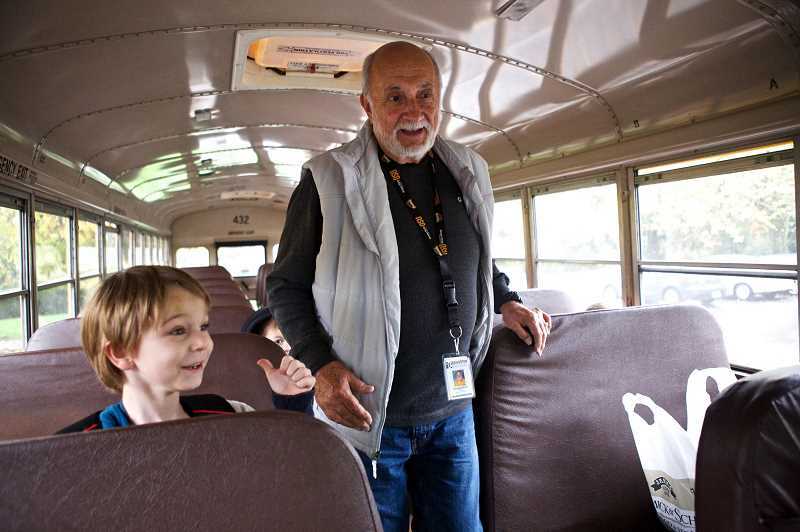 The national school bus driver shortage that seemed to plague the West Linn-Wilsonville School District last school year, has since smoothed out. "We're at a full complement of drivers at this particular time," said Jay Brock, First Student spokesman, about the WL-WV School District. At the beginning of the 2018-19 school year, the district added 12 bus routes and First Student increased hourly wages by $1 an hour for entry pay to rest at $18.25. First Student also increased drivers' signing bonuses for driving in the district. "We have this bonus structure that's out there. (It's) $2,500 if you already have a CDL (Commercial Driver's License) or $2,000 if you don't have a CDL," Brock said. Though the district isn't having a current bus driver shortage, Brock said First Student is always looking for drivers. They even have people in the pipeline right now, as it takes four to six weeks to get someone through the hiring pipeline. Training includes 50 hours of behind-the-wheel training, background checks and licensure. Brock said the challenge of hiring bus drivers depends on the school district and the region, and that there are some areas experiencing challenges. "We are doing everything we can do address those. The unemployment rate is under 4 percent right now. The unemployment rate is at an all-time low. Jobs are plentiful. There are a lower number of people out there that are looking for work," he said. "If anyone is looking for a great opportunity we would love for them to apply."